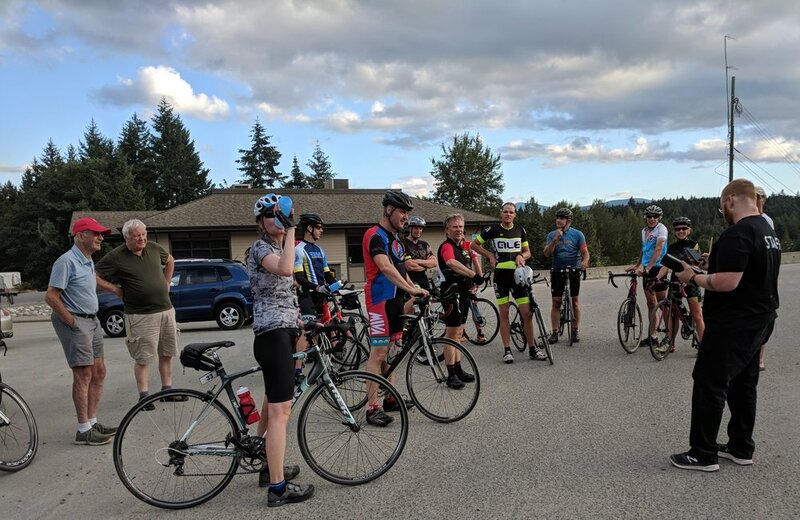 WOW... MIVA/Arrowsmith Bikes debuted a 20K point to point TT tonight, starting at the far end of Nanaimo River Road and racing east towards the Island Highway. No turn arounds and mostly downhill so what's not to like. The 13 riders came away with some smokin fast times 🚴 💨. First place James Sage averaged 45.48 km/hr ... that's POWER! Big thanks to Peter and Steve for volunteering and Patrick for timing. Only 1 more TT left this season, next week a 15k TT on NRR. Miva Diva Women's 100 Thank you's!